A round-up of the best from the world of luxury. Three weeks, fifteen hundred Swarovski crystals, all patiently put up by hand. 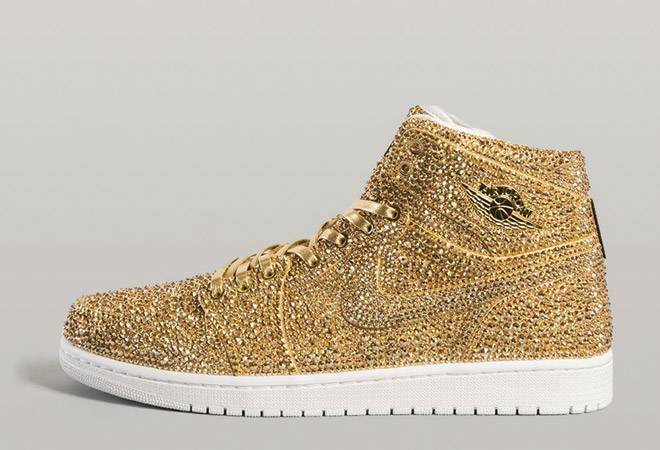 Sculptor Dan Jacob's Air Jordan 1 Pinnacle 'Golds' are only made on order and cost $6,500. But lovers of bling will be happy to note that he has made a wearable pair of shoes. So if you're feeling like tennis superstar Serena Williams, who wore a pair of Nike Cortez that had been hand embellished with Swarovski crystals by Michelle from Meraki Mishell, go right ahead and order. 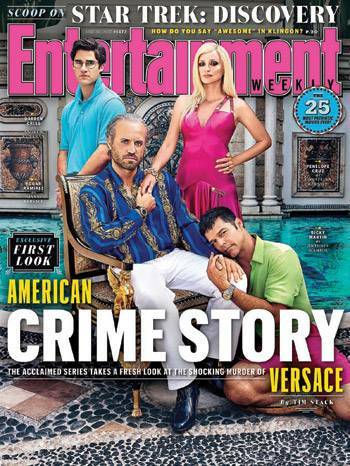 The Assassination of Gianni Versace features in the second season of Ryan Murphy's American Crime Story on FX. What gives the show the real edge is the costumes. Allison Leach and Lou Eyrich had nearly five weeks to assemble a wardrobe of vintage Versace pieces, sourced from Ebay stores and Etsy sellers, high-end consignment shops and vintage retailers. What they couldn't find, they recreated; including every single look from Versace's famous 1997 Haute Couture show in Paris. The result? A smashing, over-the-top recreation of his Miami home, his outfits and personal wardrobe. Keep your heels, head and standards high, said Coco Chanel. Now there's space to do all this at the Coco Club in New York. At the SoHo location of The Wing, there will be neon pink photo booths for portraits, a cafe, a beauty room with Chanel make-up artists, a library, a game room with customised Chanel ping pong and pool tables, as well as three Time Rooms, featuring numerologists for personal readings. He's going to make his directorial debut later in the year with a remake of the classic A Star is Born (he's acting in it, too, opposite Lady Gaga); but that's not the only thing keeping him busy. 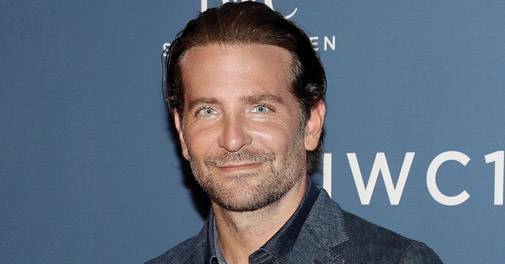 Actor Bradley Cooper, a four-time Oscar nominee, has been appointed the brand ambassador of IWC Schaffhausen at the Salon International de la Haute Horlogerie (SIHH). The Swiss luxury watch brand is celebrating its 150th anniversary this year. IWC launched five limited edition Portugieser watches at SIHH as well as revisited the iconic Pallweber pocket watch. 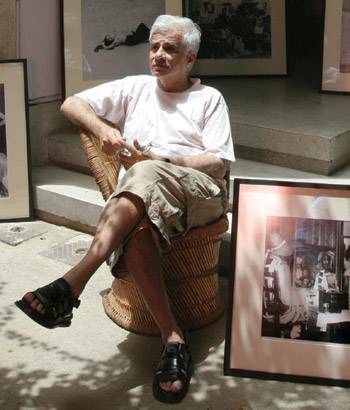 Vivan Sundaram is a legend and what better way of acknowledging it than a 50-year retrospective, 'Step Inside and You Are No Longer a Stranger', at the Kiran Nadar Museum of Art, Delhi. This exhibition will trace Sundaram's trajectory as an artist, curator and editor. The exhibition that will run between February 9 and June 30 features rare works from his early career. The nephew of artist Amrita Sher-Gil, his work spans across media, including painting, sculpture, printmaking, photography, installation and video art.